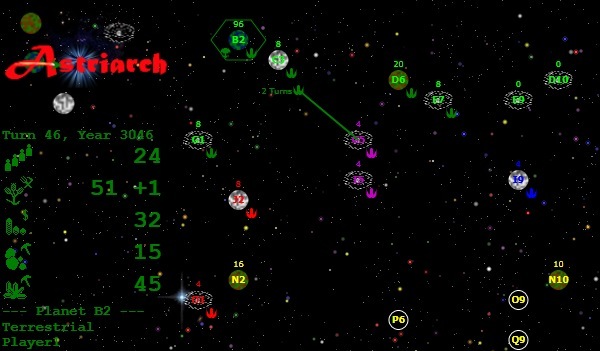 Astriarch is both the name and the aim of this cool new HTML5 game. You are challenged to build planetary improvements and ships to get the better of your enemies and rule the planets of celestial space. You intend to become the master of the universe and earn the right to be called Astriarch. This is a space strategy game, and a pretty good one at that. Surely, you’ll have some great fun playing Astriarch.